Team MultiCam® has always been about relationships and common interests. Our brand ambassadors are respected in their fields, passionate about what they do and stand behind MultiCam®. From motorsports to competitive shooters, civilian to military, they are a diverse group. They believe in MultiCam® and represent us proudly. This year the team has grown to include off-road racing legend Ricky Johnson, veterans and motorcycle racers Luie Zendejas and JD Potynsky, veteran/pro-fisherman Jamey Caldwell and veteran/off-road racer Jeff Benrud. 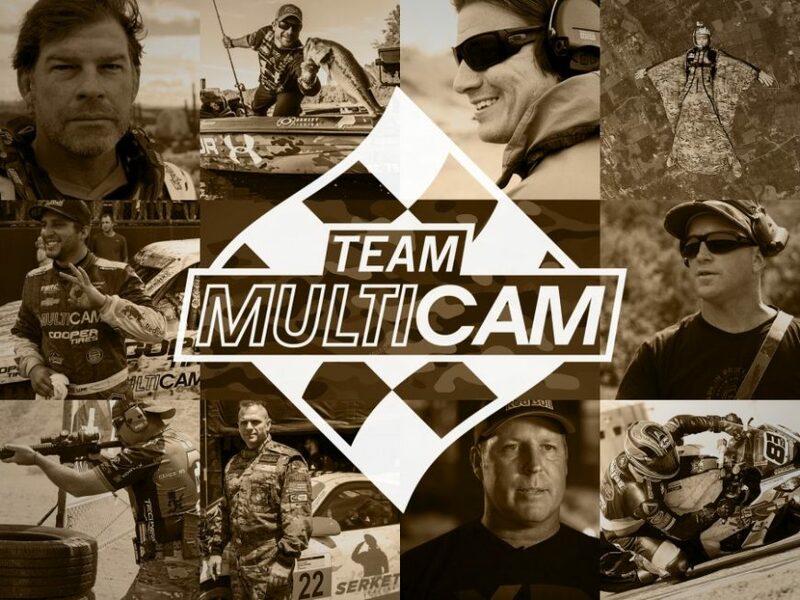 They, along with current members Jeff Provenzano, Luke Johnson, Mark Llano, Kyle Defoor, and Travis Gibson, share a desire to give back to our nation’s service members, and we are excited to announce the 2016 Team MultiCam® Military Charity Initiative. Each team member is supporting a military charity of their choosing. The 10 members will be collectively representing the Special Operations Warrior Foundation, Navy SEAL Foundation, the Boot Campaign, and Mission 22. All these organizations are doing great work to help disabled veterans and their families offset the often high price they have had to pay to serve their country. The Team MultiCam® brand ambassadors will be working hard to bring awareness to these issues and hope to raise as much money as possible so that these charities can better assist the men and women of our armed forces. Please, help them by visiting their GoFundMe pages below, spreading the word and donating today. Thank you.